We’ve been taking a break from home schooling because it was just too difficult with so many daycare kids. 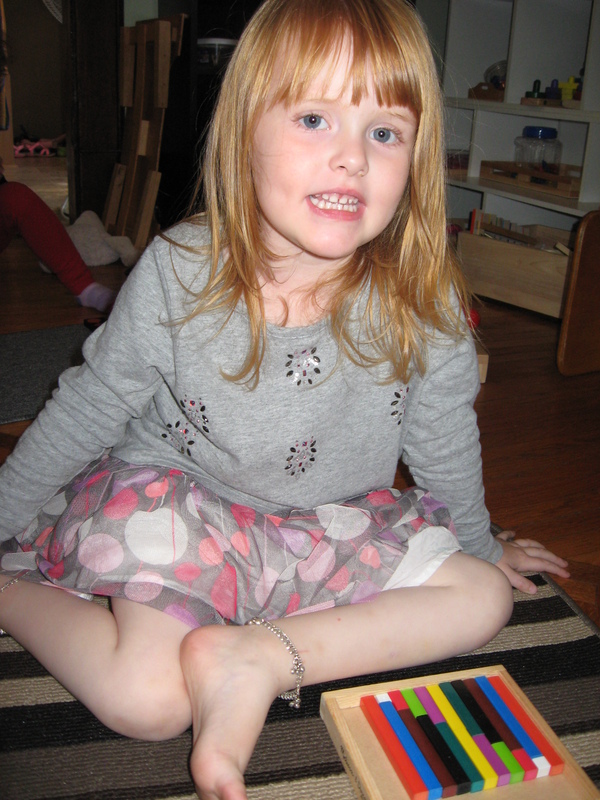 But now that they’ve gone to school and I’ve got the school room/play room organized, we’re starting up again. Pumpkin 1 is going to be 4 in November and so it’s time to take home schooling more seriously. It’s also time to start doing more math activities. I have a number of new math manipulatives. I love manipulatives for math, being math challenged myself. This is two sets of rods from a cusinaire rod set I bought. They’re great mini red rods. You can do so many activities with them. Comparing length, counting, matching, sorting. We did one set from tallest to shortest and then I showed her how you can combine each rod with a different rod to make them all the same length. She really liked that and caught on quickly. This is a great pre-math activity. I purchased this set from amazon. The tray is from a M&D block puzzle. 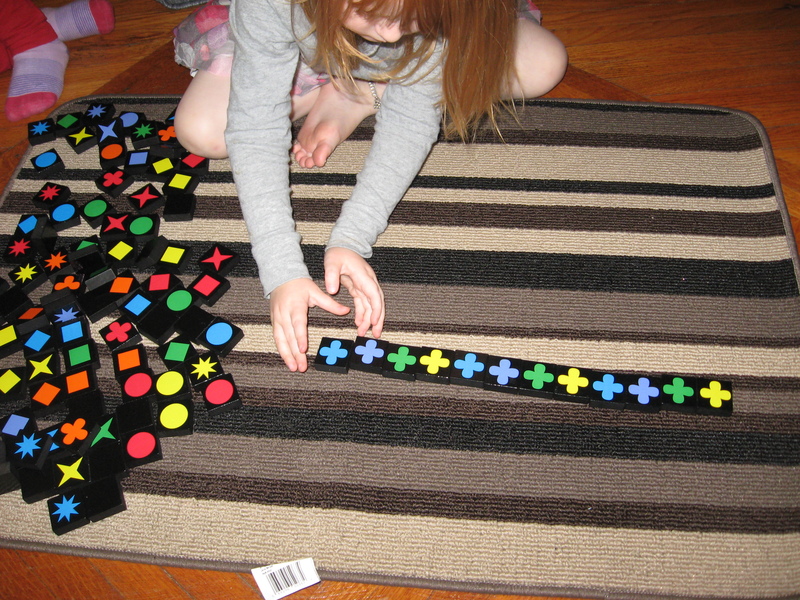 It helps her to line them up without the frustration of bumping them. These tiles are from a game called Qwirkle. 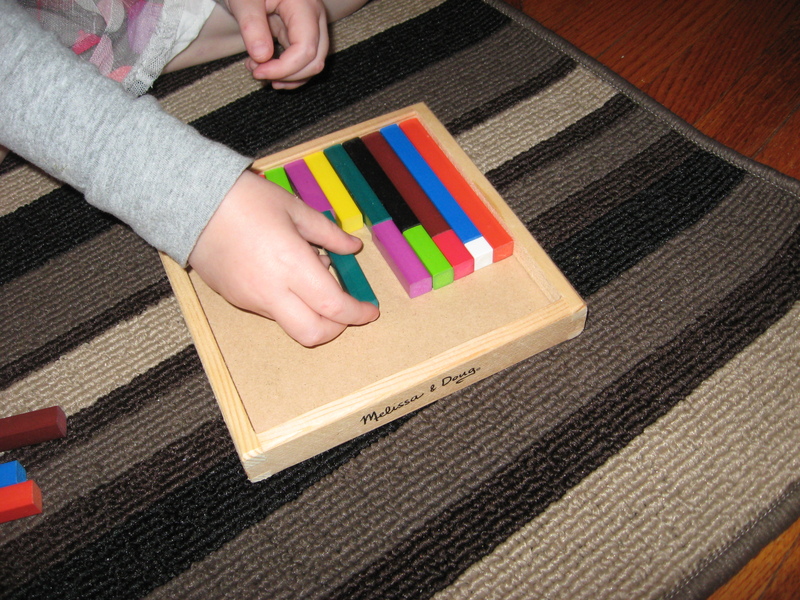 They’re great for patterning which is an important pre-math and pre-literacy skill. 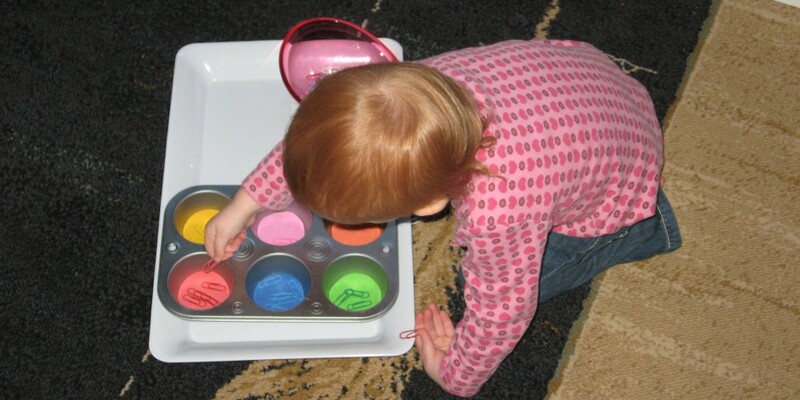 You can also do colour or shape sorting with younger children and play the game memory with them. 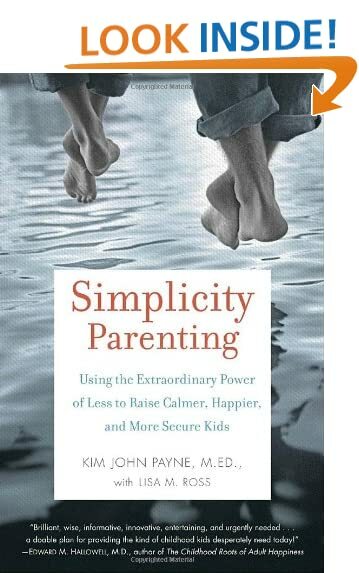 You can purchase this from amazon as well. 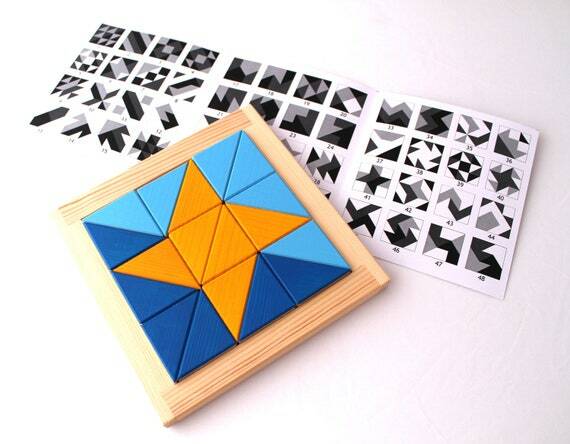 Shape pattern pictures and tangrams are also great pre-math activities. 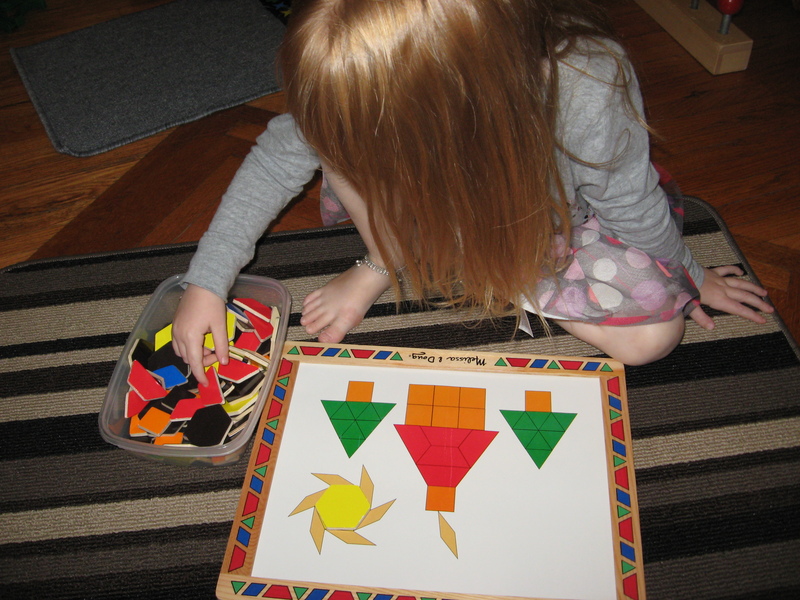 In fact one study found children who did tangrams before a math test scored better than those who didn’t http://www.parentingscience.com/tangrams-for-kids.html. 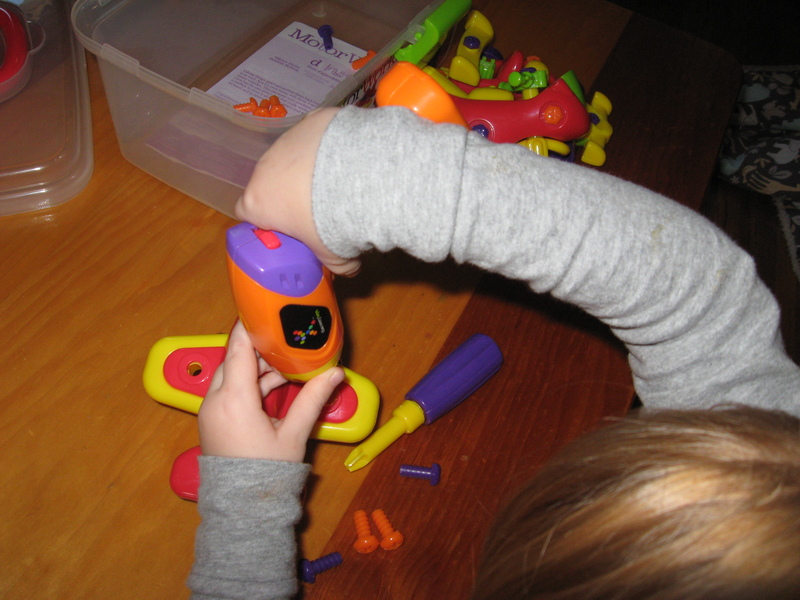 This set Pumpkin 1 is playing with is a magnetic one by Melissa and Doug. Pumpkin 1 really dislikes the sandpaper letters. 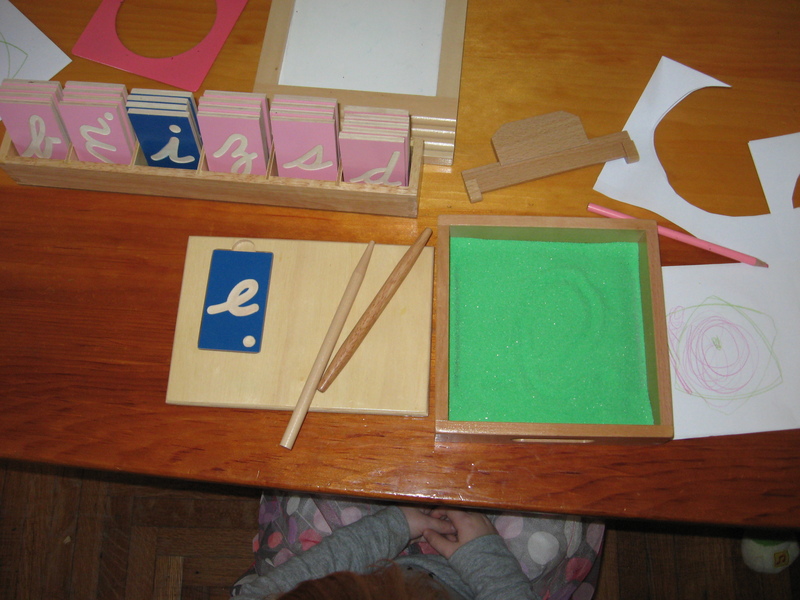 I was so excited when I found these tracing boards from Alison’s Montessori. 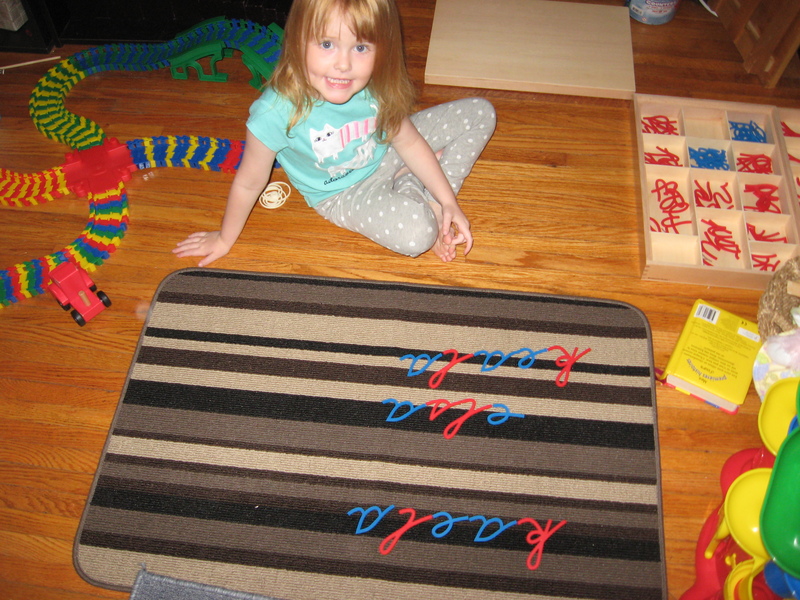 She really likes tracing those letters and the first time I brought it out she wanted to learn more and more letters. Today I added the sand tray however I don’t think she’s quite ready for it yet. Pumpkin 1 has started working with the moveable alphabet. She recently started to catch on that you can write words with letters. Of course after her name she wanted to write “Elsa” (really, she doesn’t watch TV, really lol). Then she wanted to write all the other names she know only names aren’t usually phonetic so it was….interesting. I got the carpet from Walmart. I wanted one with stripes for lining the letters on. She did need a lot of help with this activity. 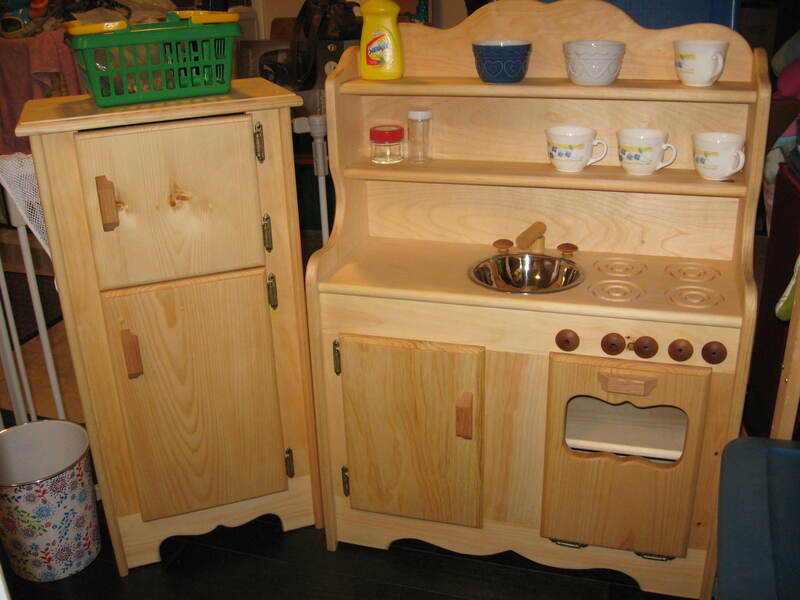 Later on she played with the Discovery Toys Motor Works. I didn’t think she’d be able to do it but she figured it out with some help and took apart the car and air plane. This is a great activity for promoting the STEM (Science, Technology, Engineering and Math) subjects, especially in girls. 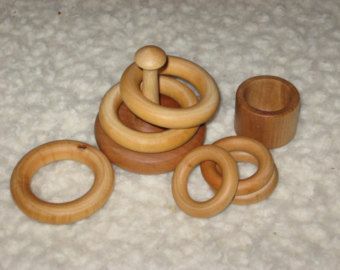 This kept her busy for a long time. It also got Daddy involved when he came home.